At one point Steve reassured me that we were the best Participation Game in town. Indeed, that we were the only Participation Game in town. Actually we got a number of games of Greyhounds in the Slips played on Saturday, the players all enjoyed themselves and the Society of Ancients sold a bundle of games. Indeed it went very well. 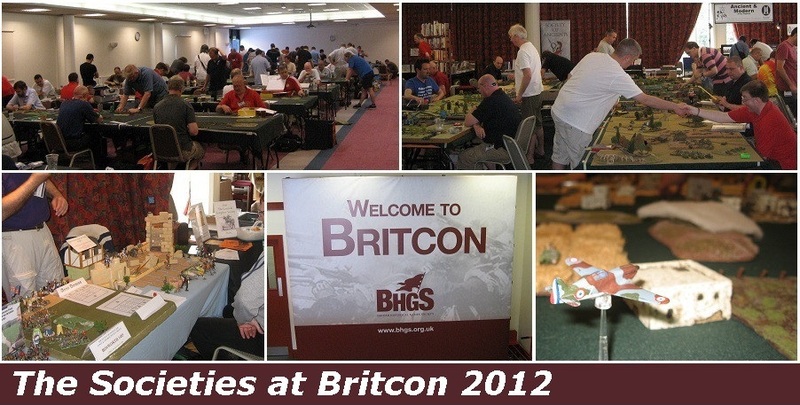 Well, the further atrophying of the show side apart, there was some chink of light shining through at Britcon. Gone, thankfully, was the corporate overload of the Slitherine empire. 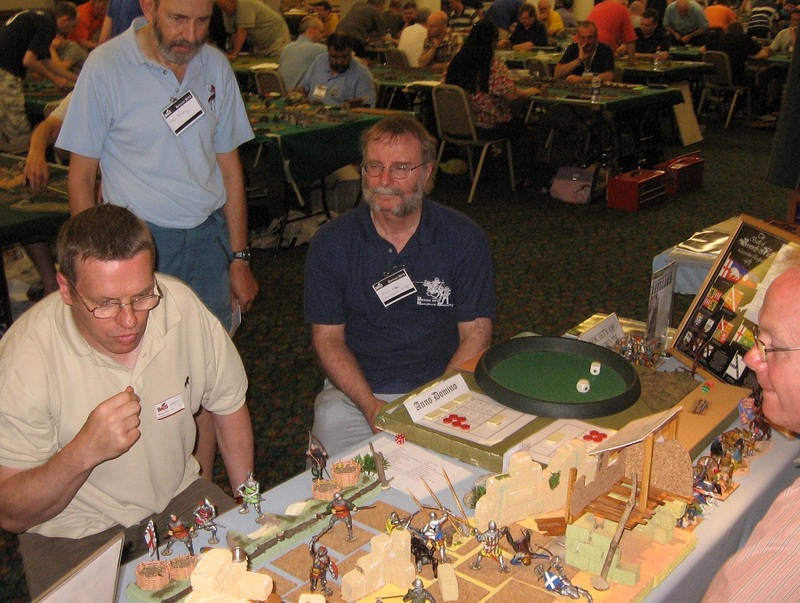 Although there was no show to see, gone was the public-blocking Slitherine hoarding and intrusive computer gaming 'play and sell' station. The event had been slimmed (just the ground floor) and the Bring & Buy (which seemed well-enough organised) was down in what had previously been the cafeteria - giving a more nucleated feel. The upstairs food outlet was now the only one open other than the bar - and so there was much less of the food clutter and debris spoiling the look of the main areas. 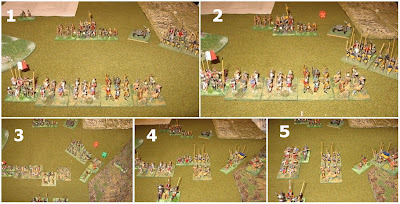 All the important games seemed to be there (FoG, DBMM, Armati, WAB etc.) 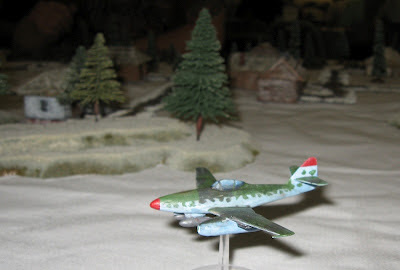 plus, outside our period, FoW and FoG-R. It is a pity they never figured out how to get DBA included in the programme. It needs two one-day-only items on the list, with DBA swapping for something else for a day. 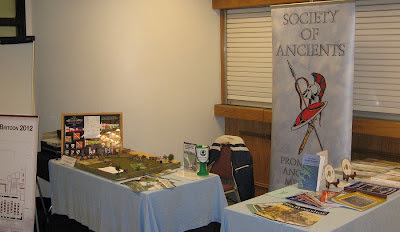 I was freed from playing the infernal 6 competition games this year so had an enjoyable weekend presenting games of Gits and Bosworth, and generally publicising SoA, L&L and the Battlefields Trust. 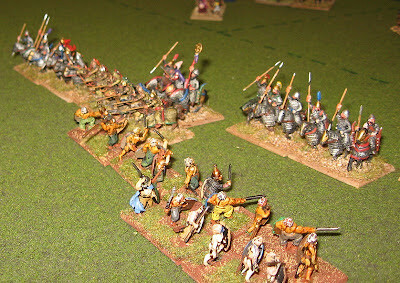 So ... on Saturday we ran a joint SoA/L&L stand and played half a dozen games of Greyhounds in the Slips with visitors. 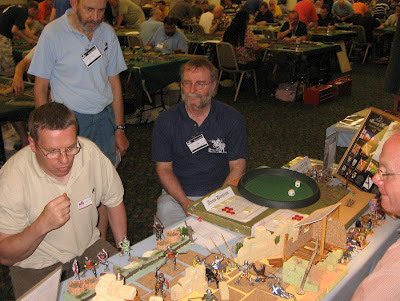 Actually, the first game was between Will and Steve, who hadn't had the chance to play it at previous shows (they had been presenting games for L&L): they picked up the key points in the game and were running it themselves an hour or so later! They trained up very well! 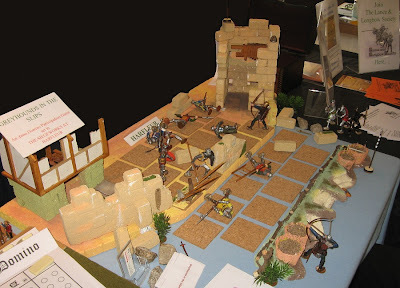 We had a couple of disasters for Harry, and a couple of near run things. 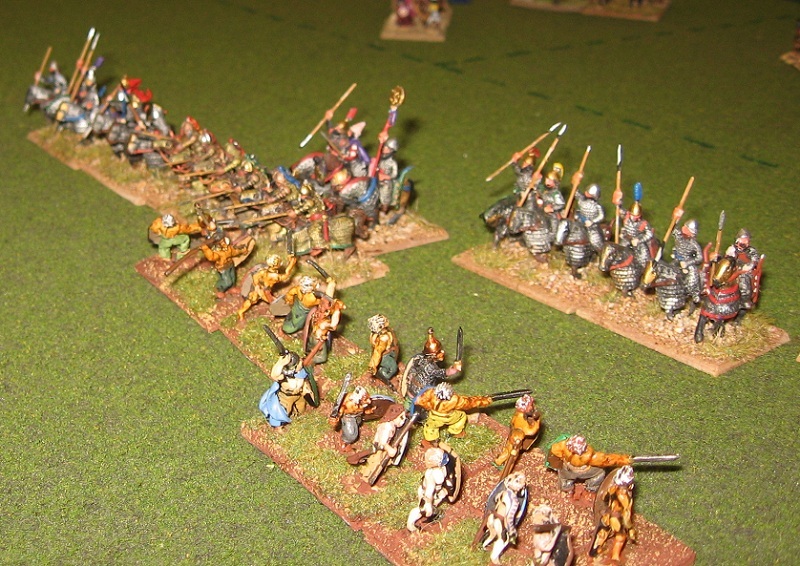 We also did a couple of play test runs through the 15mm 'test' version of the forthcoming Bosworth game. 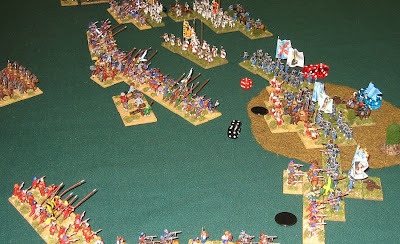 On Sunday, although the joint stand was one-day only, I was able to take the offer of a spare table to give me base and ran through a few more games of Bosworth. 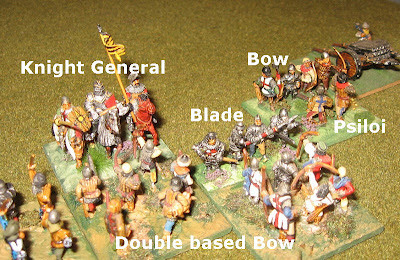 It still proves a tough ask for Richard though his army seems the stronger. 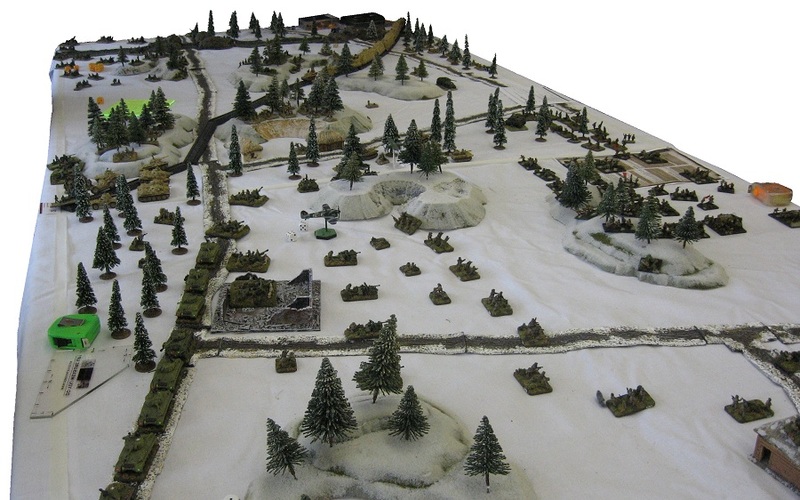 The play seems to vindicate Mike Ingram's theories on the battlefield and deployment.. I didn't stay for the prize-giving - so can't give you my usual podium photos and event top lists. 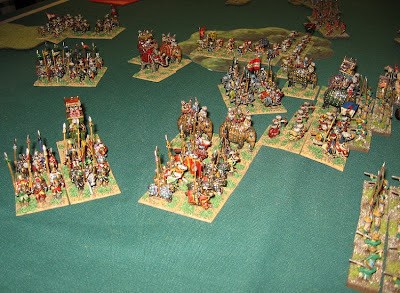 I did see, however, that Scrivs got the Persian Helmet award. A good winner, I think. Best of luck. 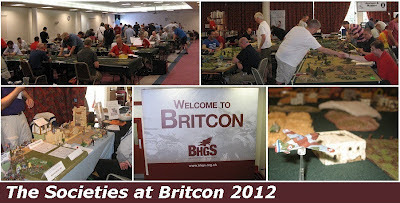 OK - I enjoyed Britcon - it happened and, a little less flabby, seemed to be full of happy wargamers. It needs good communications, good publicity (any/more publicity) and a show worthy of inviting the public to (i.e. 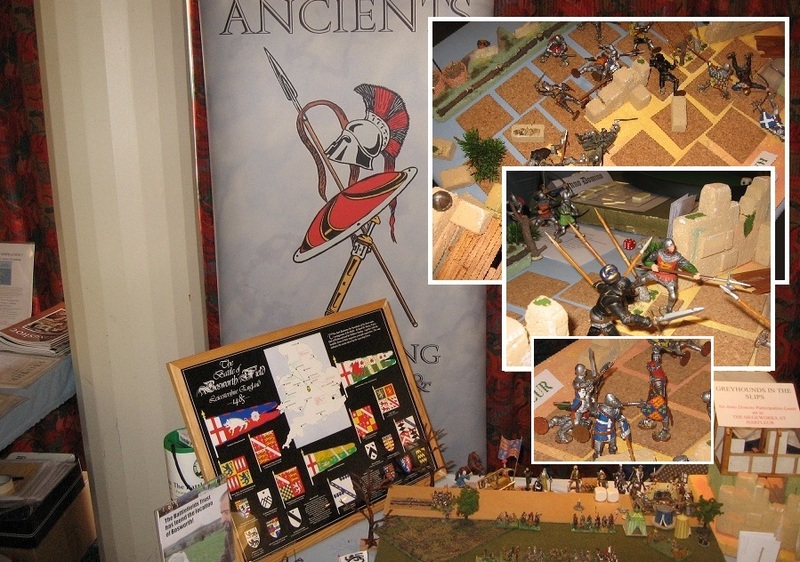 a few club demo and participation games and some non-commercial content other than ourselves and Lance & Longbow). That said, count me in, BHGS, if you want to keep this going as a show to visit as well as a competition. My thanks to the Lance & Longbow Society for putting this combined enterprise together, and to will McNally and Steve Ayers in particular for their help and encouragement with the game. The Other Partizan is on September 2nd. Another interesting post. 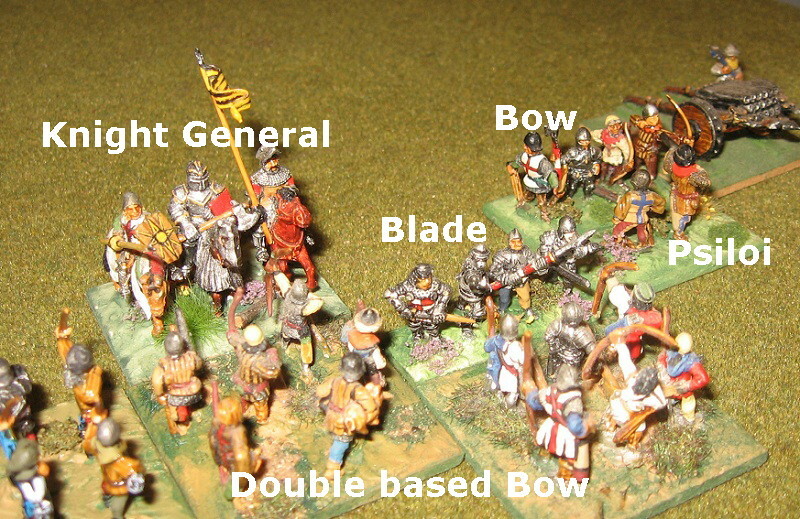 Good to see that a range of rules are supported, the advantage of greater player numbers compared to New Zealand. 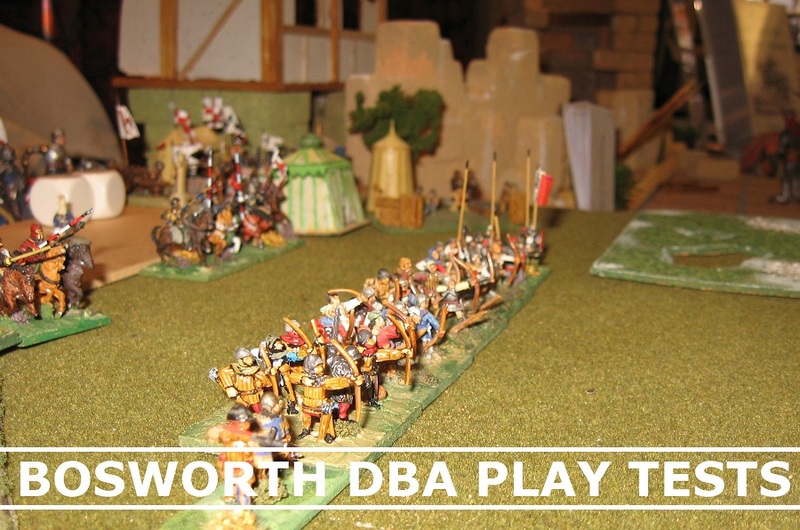 That said it is odd that they can not support a one day DBA competition. 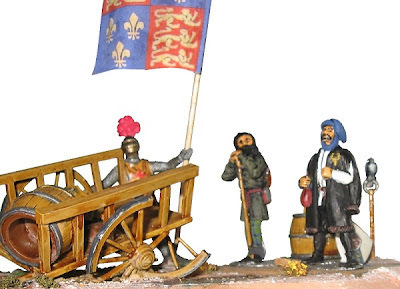 I look to reading more of the Bosworth project. Hi Keith .. re DBA I think it is just a culture thing ... UK DBA events are one-dayers, and most other big ancients events are two-days.